Austin Area OBGYN (Austin) - Book Appointment Online! Austin Area OBGYN is a full service practice for women’s health in Central Texas. From its inception, patient satisfaction and quality of care have been the top priorities. All physicians are board certified and well trained in normal and complicated obstetrical management, advanced gynecologic treatments and surgeries, and full-range infertility care. The facility offers ACR certified ultrasound services, mammography and bone density services. 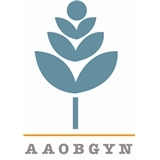 AAOBGYN stays on the forefront of medical and surgical treatments, including nuchal translucency screening for obstetrical patients, the new HPV Vaccine to prevent cervical cancer, Exablate treatment of uterine fibroids, and the latest urogynecologic treatments for urinary incontinence and pelvic prolapse.